27 Oct Can I Train My Own Service Dog? Dogs certainly are human’s best friend. They serve as companions, fellow laborers, and even as protectors. For those with disabilities, a dog can give them a measure of independence that they wouldn’t otherwise have. Demand for a fully trained service dog is high, and the waiting lists are often long. 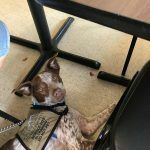 Because of this, an owner-trained service dog has become an increasingly popular choice for many with disabilities. The dog and in some situations, miniature horse are the only animals which are legally recognized by the American with Disabilities Act (ADA) as a service animal. The purpose of a service dog is to perform specific actions that assist people with disabilities. They are not therapy dogs. The American Kennel Club (AKC) explains the difference between the two. Purchasing a fully trained service dog can cost quite a bit of money, so many people ask if they can train their service dog themselves. Which Breed is Best for Service Dog Work? Typically, retrievers make some of the best service dogs. However, any breed has the potential for service work. Consider the work your dog will perform. You would not pick a chihuahua to pull a wheelchair. Also, temperament plays a large part in determining which dogs are suitable. The retriever breeds have a long lineage of being bred to work closely with humans. Regardless of their breed, all service dogs must possess a particular set of characteristics. You should consider looking for candidates at your local shelter. Mixed breed dogs can often serve just as well as pure-bred animals. When choosing a candidate from a shelter, ask for a two week trial period to assess the dog at home. If possible, have a trainer familiar with service dog training evaluate your prospect. 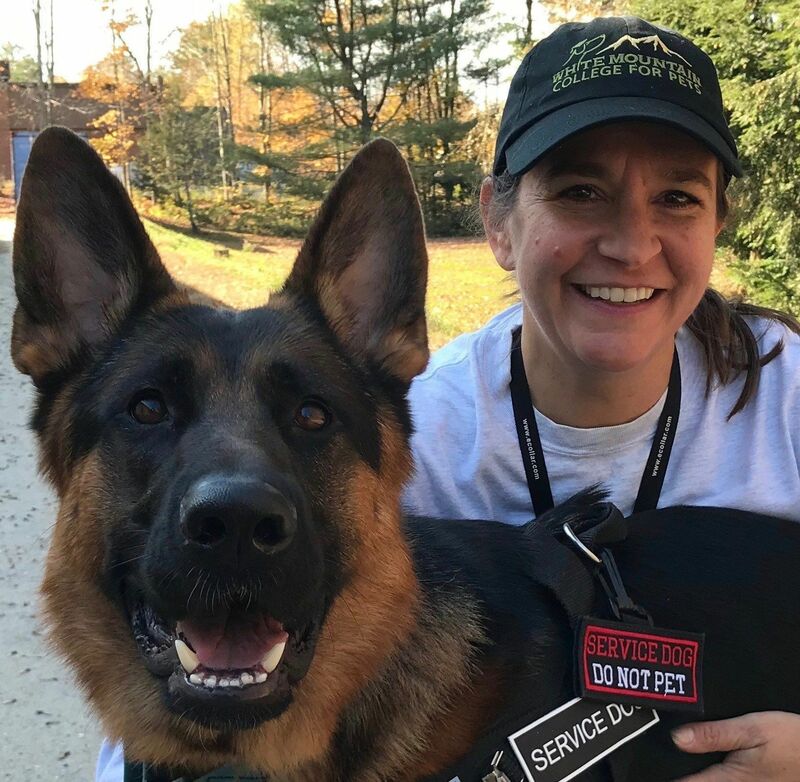 Once you have found a candidate for service dog work, you need to review the skills required to pass the International Association of Assistance Dog Partners Public Access Test. This list of skills will set the training path your dog must follow to behave appropriately in public. Though it is possible for an owner to train their service dog alone, most will benefit greatly from the help of a professional dog trainer. Make sure you find one with experience in training service dogs and one who has a program already in place for assisting you in training your service dog. The first step in training your service dog is to complete a series of foundation skills. Mastering these tasks also helps you further evaluate your dog’s suitability for service work. 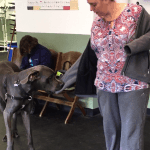 A professional service dog trainer can guide you through these foundation skills and in the task-specific skills your dog will need to perform. All dogs are expected to behave in public. 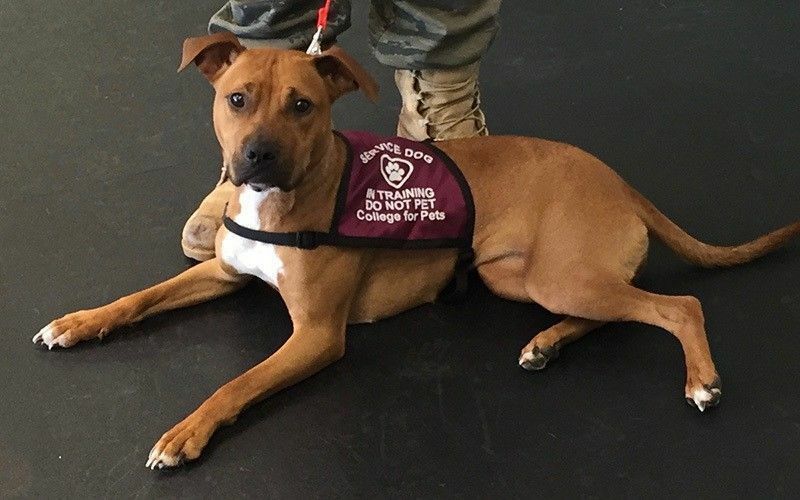 For service dogs, this expectation goes beyond normal ‘good dog’ behavior. The “manners” are extremely important. No aggressive behavior toward people or other animals. The should not solicit food or petting from other people while on duty. All of the training you have done up to this point is considered foundational. The real purpose of any service dog is to help their owner with their disability. The training required for specific tasks depends on the needs of their handler. If you are working with a professional service dog trainer, they can guide you in the next steps. Often, this means meeting in person or online and learning the best way to train your dog. You then do the training at home.